Hall bath design perfect for guest bath or kids' bathroom with shower/tub combination and vanity cabinet. 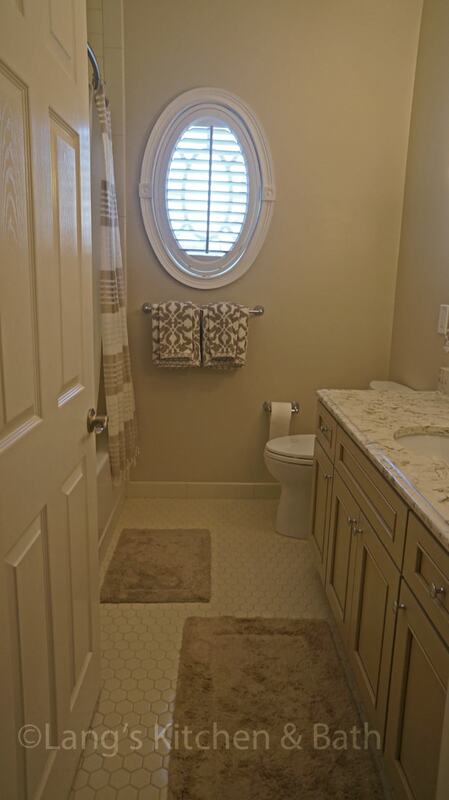 This hall bathroom is the perfect kids' or guest bath design. The shower/bath combination includes a rainfall showerhead and half glass shower door. The vanity cabinet incorporates ample storage, and is finished with a quartz countertop and a polished chrome faucet. The hexagonal floor tile completes this bathroom design.